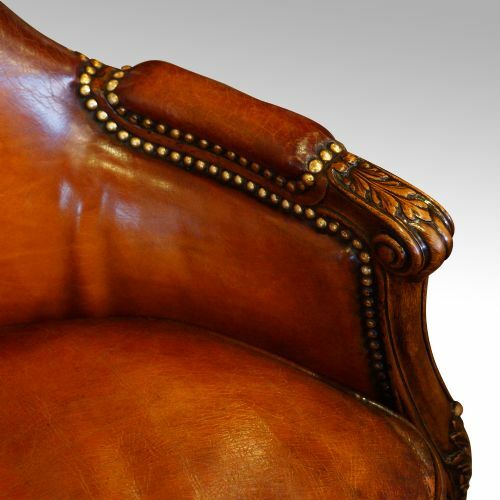 This walnut love seat was made circa 1910. 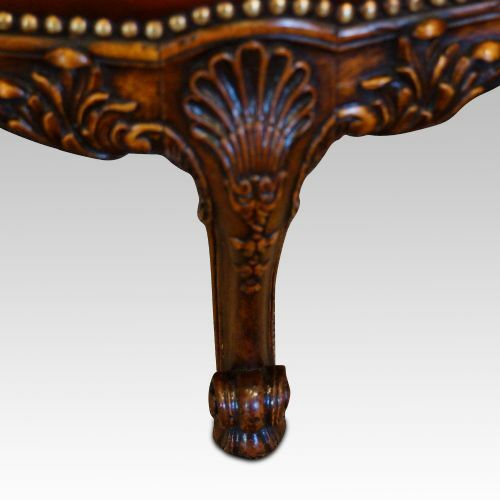 The frame is beautifully carved, the carving being very crisp. 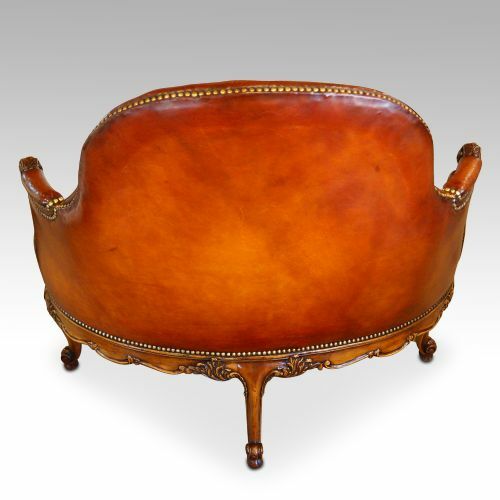 The apron is carved with shell and foliate designs. 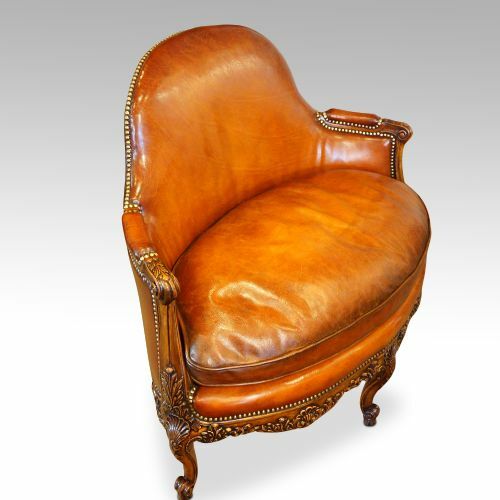 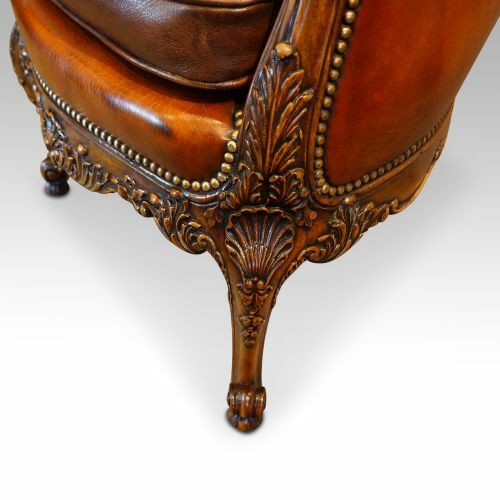 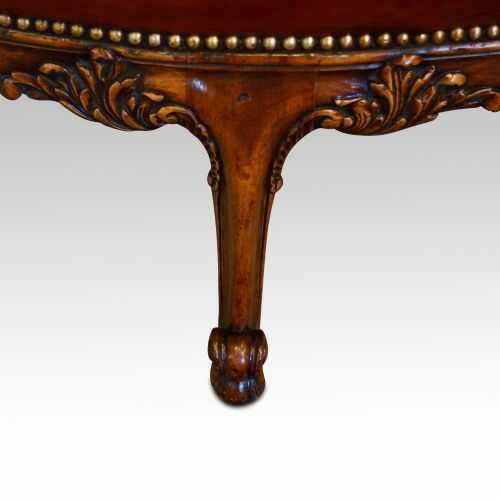 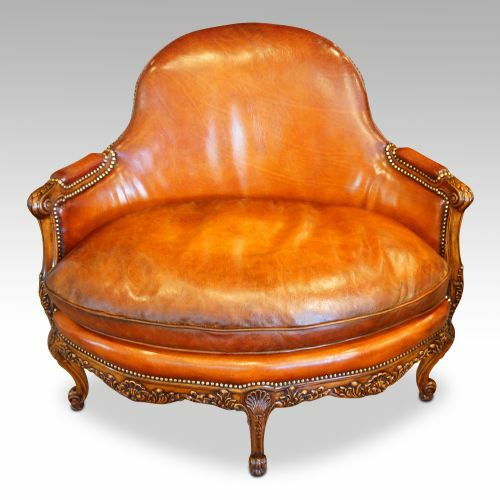 The legs are elegant, of the cabriole shape ending with scroll toes. 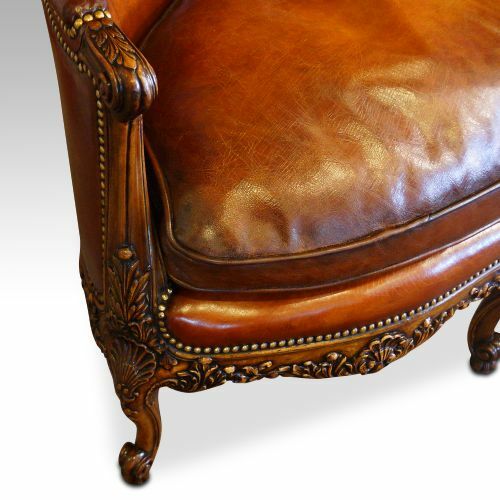 We have used our specialist upholsterer to cover this in leather. 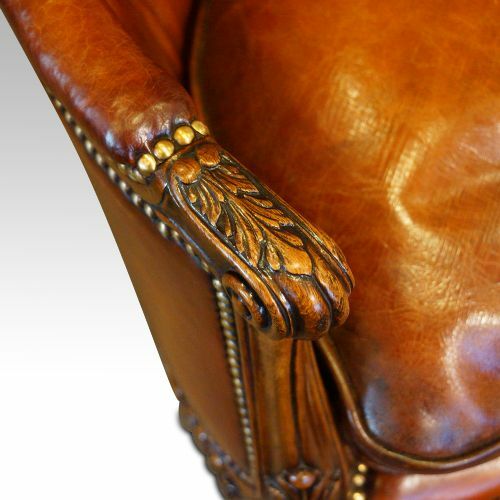 They have over 40 years’ experience working with leather and after covering the love seat they then hand due it before finishing it with our antique finish process. 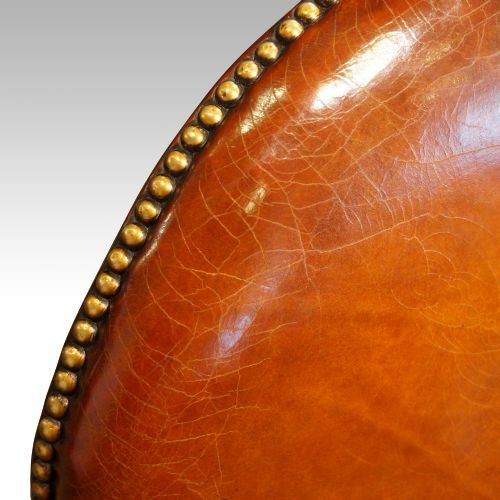 All the brass headed studs are individually tapped in, a task that needs precision and patience. 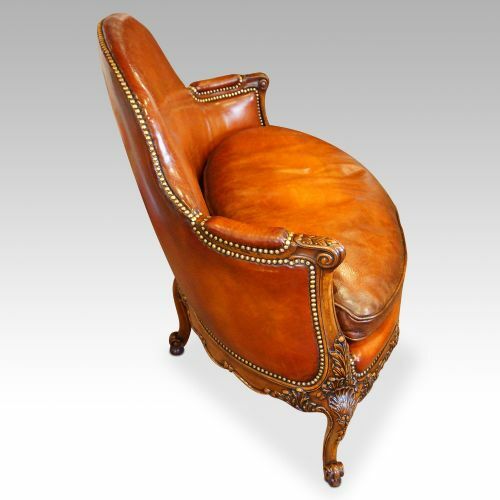 Imagine how great this will look in your home, and what conversations this will spark. 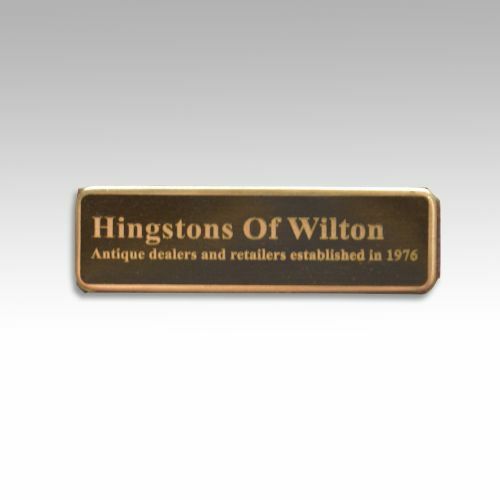 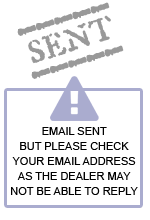 Purchases from Hingstons Antiques Ltd are covered under the Distance Selling Regulations, which give all buyers the right to cancel the purchase within 7 working days after receipt of the item, for a full refund less transport costs. 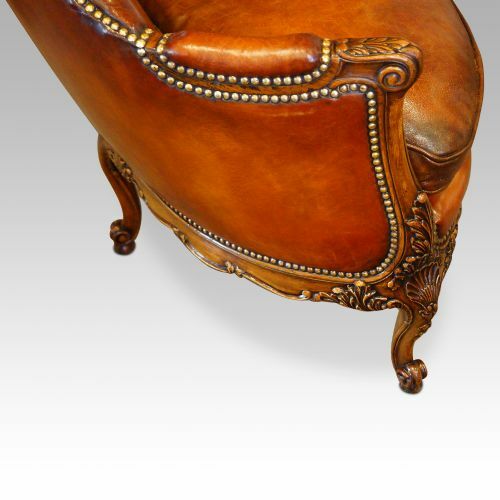 The Edwardian walnut love seat has been added to your saved items.